Sound is such a powerful vehicle for eliciting and communicating human emotion. In this post I will talk about how, as a sound therapist and therapeutic music composer, I use sound and music to boost your mood, enhance mood state and help improve health and wellbeing. 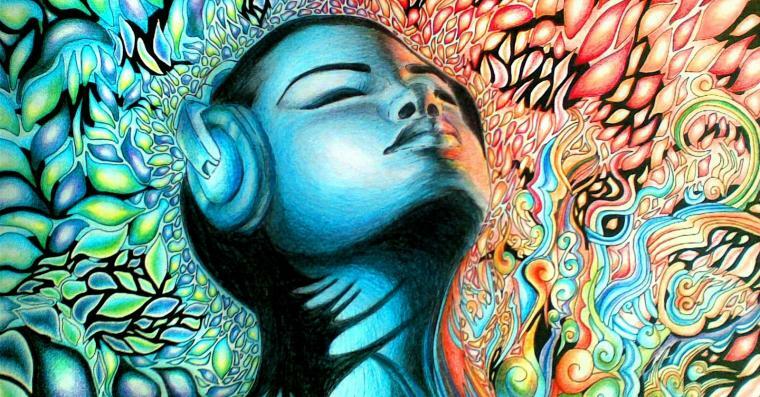 There is enormous interest in how music stimulates and evokes emotional responses. Justlin and Sloboda, prominent researchers in the field of music and emotion believe that the main reason that we listen to music is to influence our emotions. 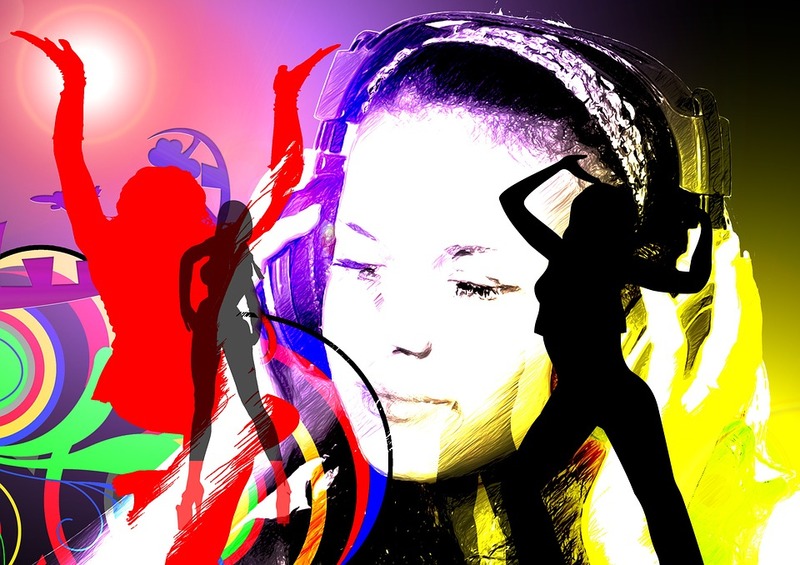 Listening to music involves so many different neural processes – many more than we give ourselves (or Mother Nature) credit for, we really are extremely clever biological machines! For starters, the sound stimuli (what we are hearing) has to be processed by the ear which means transforming pressure waves into neural signals. These signals then stimulate the release of different neurotransmitters and hormones which can give rise to many different emotions, affect the sympathetic and parasympathetic nervous systems (raising and lowering heart, rate, blood pressure and stress responses) and even boost the immune system. One of the most interesting emotional responses to music or sound will be one that is familiar to most of us. Known as ‘frisson’, ‘chills’ or ‘goosebumps’, it feels like waves running up and down the arms and the hairs on your arms may stand on end. This is a sign that Dopamine, a neurotransmitter associated with pleasure and reward is being released. I talk about frisson in a lot more depth in my blog post ‘Great Expectations’ but in a nutshell, when you are feeling low choose pieces of music give you the goosebumps and you will give yourself a mood-enhancing boost. Here follow 6 examples of a great ‘pick me up’ play list. Locked out of Heaven by Bruno Mars – One of my personal favourites for increasing frisson! It is packed full of tricks to increase excitement including a rise in pitch, increase of instruments, stronger beat over the back of the chorus which continues to rise during the middle eight but drops off during the verses. At 144 BPM this is a good one to add to your ‘pick me up play list’. Happy – Pharrell Williams – Ok so its obvious, but there is a reason that this track was so successful. The track is 160 BPM, Pharrell sings in a high pitch, the chorus is rousing which increases frisson and it has uplifting lyrics. Can you Feel It – The Jacksons – This track is 125BPM and has a strong driving beat and great lyrics. The choral accompaniment and increase in instruments (horns etc) during the repetition of ‘can you feel it’ and a passionate vocal from Michael Jackson makes this the perfect track when you’re feeling low. Can’t Stop the Feeling – Justin Timberlake – Coming in at 113BPM it is a little slower than the others, but a worthy addition to anyone’s playlist. Its got uplifting lyrics and the high pitched vocal during the choruses and extra backing vocals around 3:27 into the track add extra emotion-boosting sonic vitamins. Save The World – Swedish House Mafia – At 127 BPM this is a track with driving lyrics that takes off around 1:08 minutes into the track. The steeply contrast in musical content between the ’emptier’ verses and ‘fuller’ choruses make this a great track to add to the list. Sky Full of Stars – Coldplay – This track is one of Coldplay’s EDM tracks that is guaranteed to get the head bobbing at 125BPM on the gloomiest of days – trust me, its pouring with rain outside and my head has just fallen off my shoulders! There are many different ways I use sound and music to improve mood with both groups and individual clients. I may play a gong in a more dynamic way – moving from low volume to a higher volume which helps to create frisson, or I could play a drum more quickly than I would during a relaxation session which helps to give the system an energy boost. I can also use certain musical intervals (combinations of tones) to create different mood spaces, such as a perfect 5th which is known as the sonic anti-depressant of the music world . The human voice is one of the most emotionally moving instruments because it is really good at conveying emotion. Having a voice therapy session can be extremely uplifting and may involve laying down and receiving a voice therapy treatment or getting more involved by working with the therapist and using movement and your own voice to improve your mood. Want to learn more about sound therapy or become a professional sound therapy practitioner? Take a look at our upcoming Group voice therapy course. Music and sound has been used for tens of thousands of years to boost emotions and when we come together to make and share music we get even more of a boost. Any time you are feeling down, plug in, get down and sound yourself smiling!